Peace for India – What's on Politics? Just a few minutes ago I was reading an article about the recently started election campaigns in India. After a long period of soporific leadership by the Congress Party’s spearhead, Dr. Manmohan Singh, the uprising opposing party Bharatiya Janata Party (short: BJP) with their announced standing, Mr. Narendra Modi, speculate about high results in the national elections in 2014. But Indian election campaigns have been bloody in the history, especially because of religious reasons. 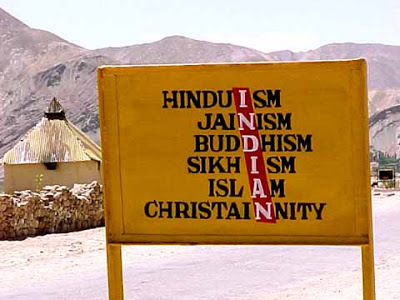 India is a secular state and is divided into various segregated groups, the largest community are followers of Hindu (86.5%) and Muslim religion (12%). The status quo is, that since the partition of Pakistan, Bangladesh and India, static tension between the two major groups are reality. Even that during the last years there was a decrease of stark hatred denoted, now with the upcoming elections, riots are anticipated to happen less sporadic. In fact, last week there were spate religious riots arising in the northern state of Uttar Pradesh, in which 31 people were killed and an estimated number of 10,000 people were arrested. At that time a bogus video of muslims shooting a Hindu family to death, was released by BJP party members. As Mr. Modi was already accused for playing a major role in the dramatic riots in his own governed state, Gujarat, back in 2002, people are losing trust in his spectrum of acting amicable during the election campaign. His official spokesman denies any relation to bloody interaction among the two religious groups. But as the turmoils and videos confer Mr. Modi a slew of new votes, this statement seems rather specious. In Gujarat, where Mr. Modi plays the role of a highly praised governor, because of his keen business skills, he stingily invests money in infrastructure and the economy. Therefore, the people love him. But isn’t it a rather unsound approach to offer new, beautiful buildings to Hindu families, while Muslims continue living a spartan life? I don’t want to sound sportive, but the next step of education should include free offerings of history books to all politicians. At what point will they ever learn from the mistakes made in the past. Bloody fights in the U.S. between black and white population had costs thousands of people their life, meaningless deaths. German history serves as a prime example to show how far racism can go and how many people and nations can suffer when facing wrong leadership. And the most recent examples about daily bombings in the Middle East where Sunnis and Shias extirpate half of the population according to their reverent religious beliefs. To come back to my stated quotation, this sentence sums up all the problems happening in these countries: aren’t Hindus and Muslims still Indians, aren’t they somehow sharing the same cultural roots? Isn’t the same basic idea of Islam what should hold Shias and Sunnis together and not a fight about who or who should have not been elected to be the first Khalifa after Mohammad’s death?